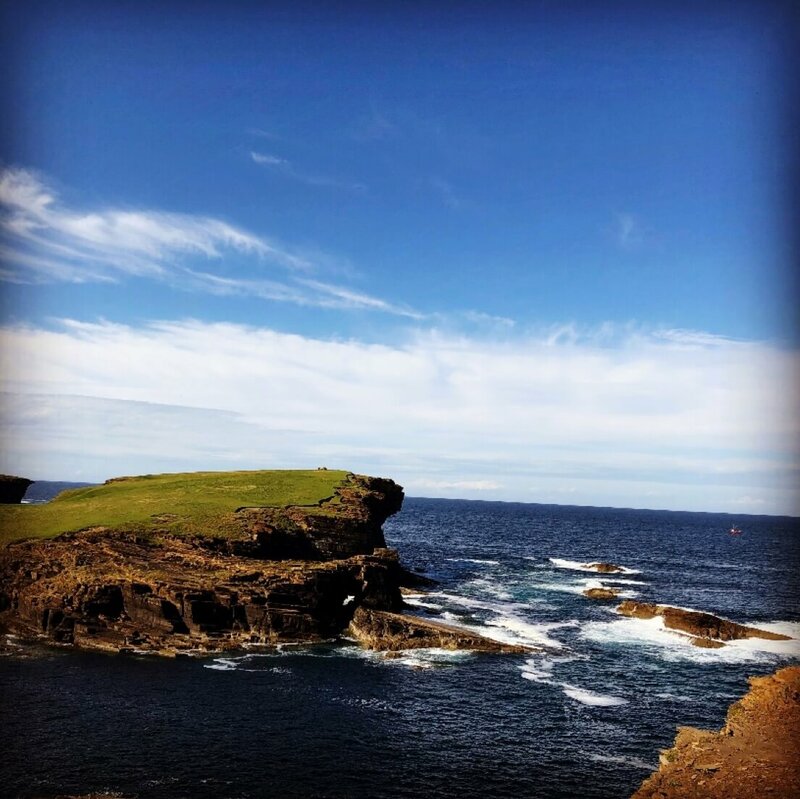 Yesnaby is renowned for its spectacular Old Red Sandstone coastal cliff scenery which includes sea stacks, blowholes, geos and frequently boiling seas. A car park, coastal trail and interpretive panels serve visitors. The area is popular with climbers because of Yesnaby Castle, a two-legged sea stack just south of the Brough of Bigging. The stack is sometimes described as a smaller version of the Old Man of Hoy Yesnaby is also one of the very few places where Primula scotica grows. 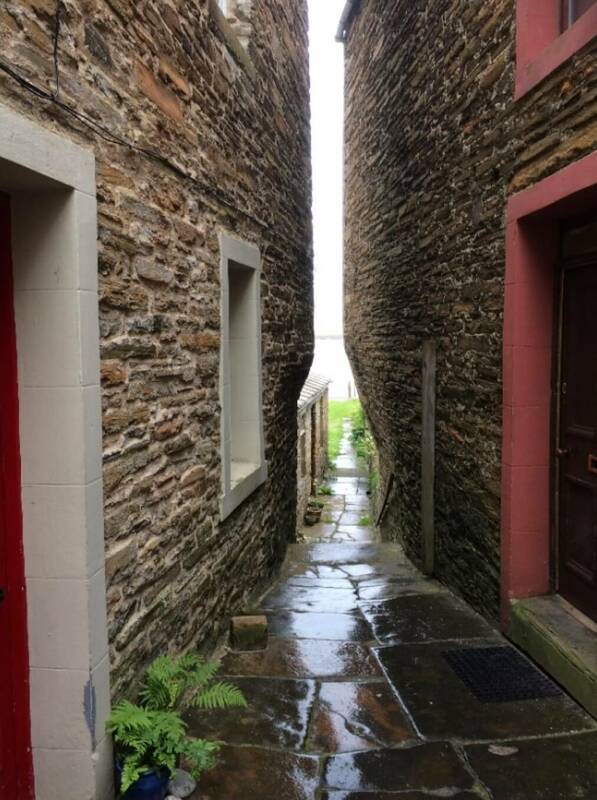 Stromness, This 18th century settlement built around the sheltered natural harbour “Hamnavoe” Orkneys second largest town has much to offer. Its winding streets with views to the busy harbour combined with an array of shops, cafes, the Stomness Museum and the pier Art Centre. A photographers dream. The Orkneyinga Saga, dating to about 1136, tells of a great Yule feast given by Earl Paul at his bu, or residence, in Orphir. It describes a ‘large drinking-hall’ next to a ‘magnificent church’. The remains of that church survive today. The church, dedicated to St Nicholas, has the distinction of being one of only two round medieval churches in Scotland. Beside it lie the remains of a large building, which may well have been the ‘drinking hall’. 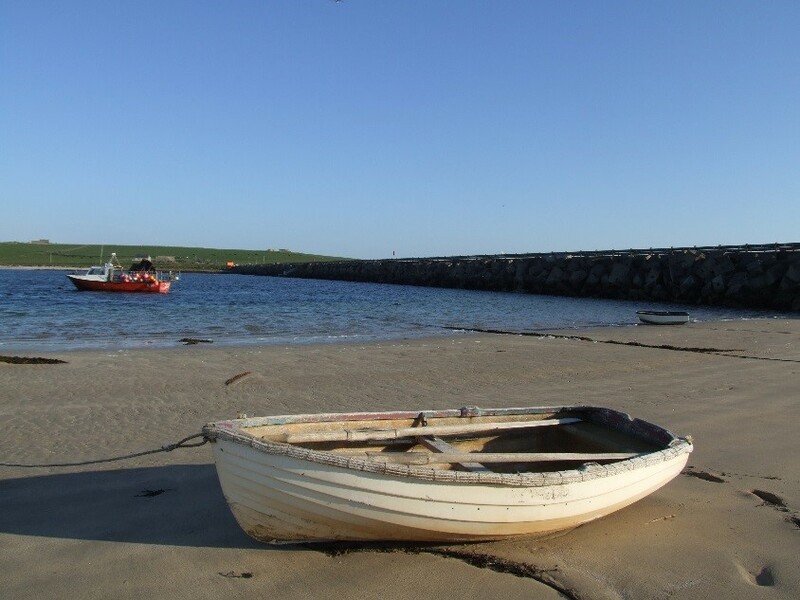 They were built in the 1940s primarily as naval defences to protect Scapa Flow but now serve as road links to the small communities on Burray and South Ronaldsay. Most of the labour was provided by over 1300 Italian prisoners of war. The prisoners were held in three camps, 600 at Camp 60 on Little Holm and the remaining 700 at two camps on Burray. The Miracle of Camp 60 being the most renowned. 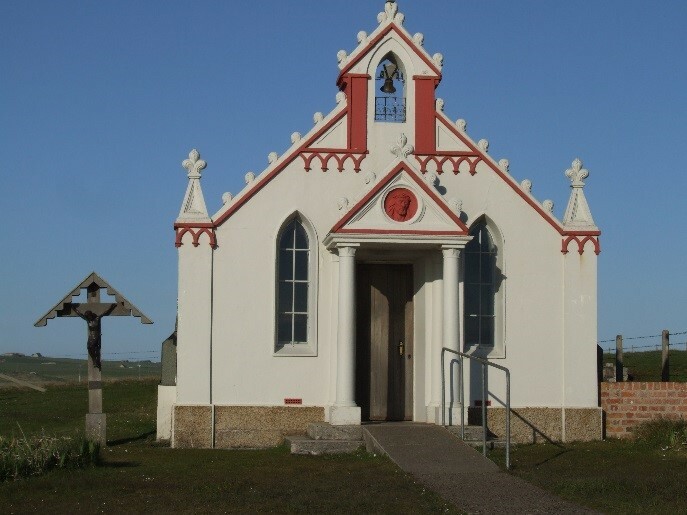 Here the prisoners built the ornate Italian Chapel which still survives and has become one of Orkneys most popular tourist attractions. 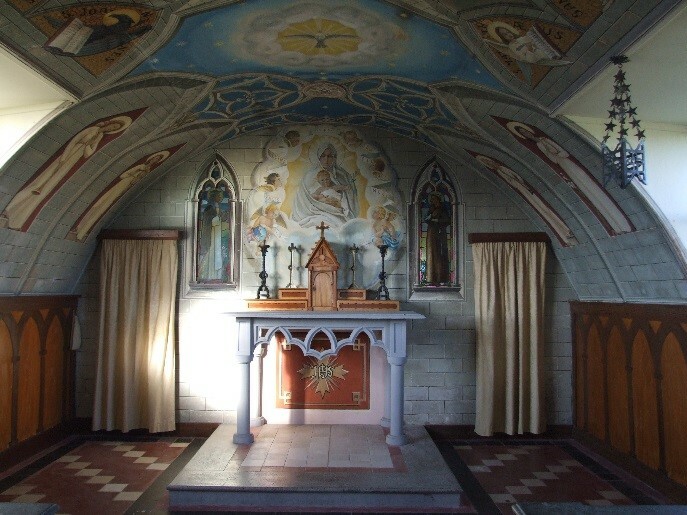 The Italian Chapel constructed from two Nissen huts. 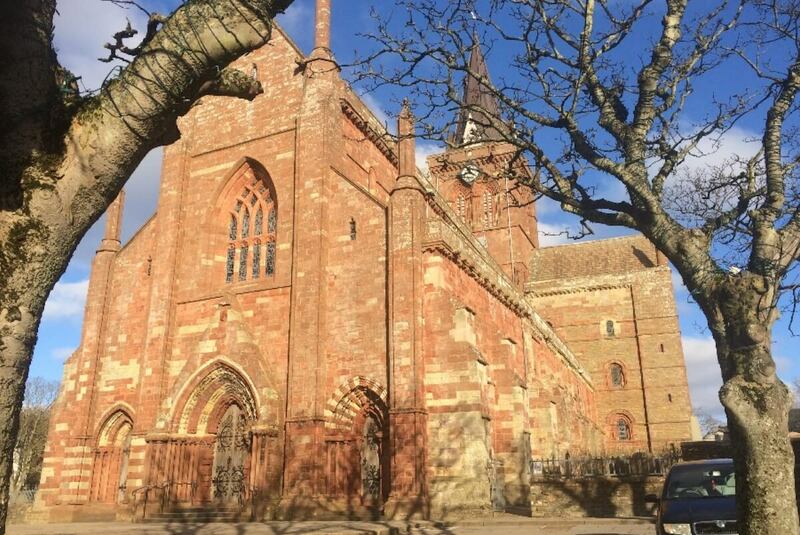 St. Magnus Cathedral – Part of our Viking History, the Cathedral was originally under Norwegian jurisdiction. 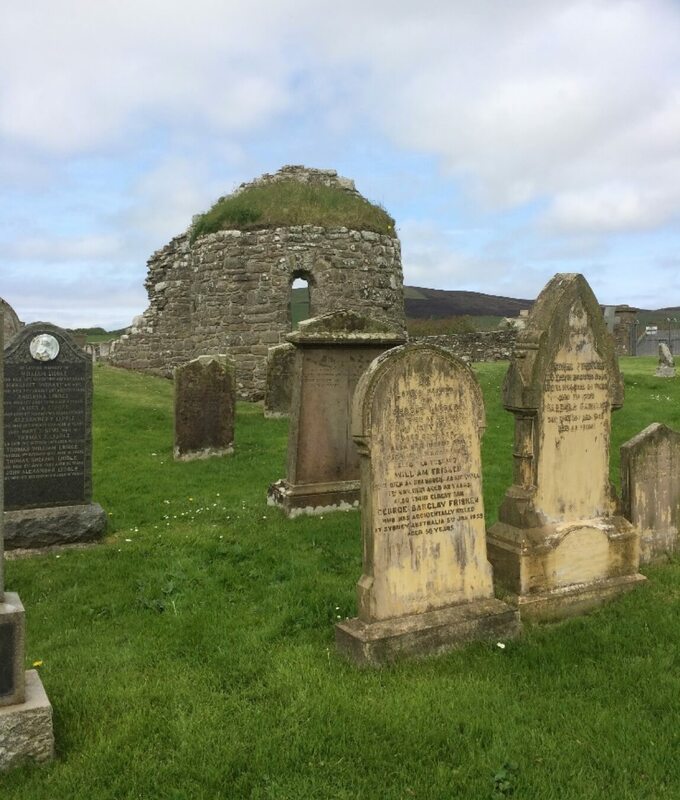 Britain’s most northerly Cathedral, known as the 'Light in the North' was founded in 1137 by Earl Rognvald in honour of his Uncle Magnus and took over 300 years to complete.